A person commits theft if he or she unlawfully appropriates property with intent to deprive the owner of his or her property. Appropriation of property is unlawful if it is without the owner’s effective consent, the property is stolen and the actor appropriates the property knowing it was stolen by another, or property in the custody of any law enforcement agency was explicitly represented by any law enforcement agent to the actor as being stolen and the actor appropriates the property believing it was stolen by another. Consent cannot be obtained by coercion or if the owner lacks the capacity to consent and the individual knows they lack capacity. More severe charges that could arise from theft are <Robbery> and <Aggravated Robbery>. An offense of theft has a range of punishment from a <class c misdemeanor> to a <1st degree felony>; each situation has its own circumstances. The main issue in determining the level of punishment is the value of the property taken. A possible defense is arguing that consent was given. 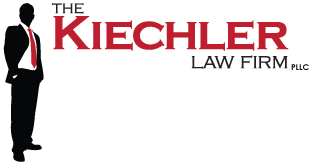 In some circumstances, an individual may have a reasonable belief that consent was given to appropriate property. Misunderstandings and other events could create a reasonable belief in the eyes of the individual that proves to be wrong; however, depending on the facts and circumstances of a specific case, it may be shown that the individual should not be charged with theft. Another defense is that the individual owned the property. Ownership can be defined as the individual who has a greater right to possession of the property than the other. An individual who appropriates property may have a greater right to the property that is not immediately apparent and therefore he or she should not be charged with theft. Also, the intent to deprive can call for its own analysis. A slight or momentary exercise of control over property could be found to be not enough for a charge of theft. Other issues that arise in the momentary exercise of control of property can determine whether theft is a viable charge. The exact language of this law, further details, and additional punishment concerns can be found in section 31.03, of the Texas Penal Code. None of this information can take place of the information, knowledge, and expertise provided by a licensed attorney.